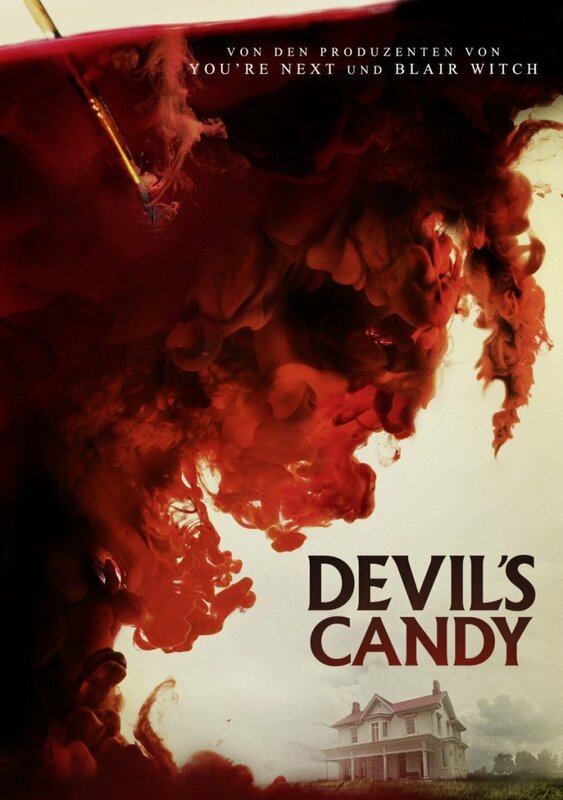 John’s Horror Corner: The Devil’s Candy (2015), an atmospheric style-over-substance film about evil, music and art. MY CALL: Not much in the way of story or substance, but totally worth watching for outstanding characters and style. 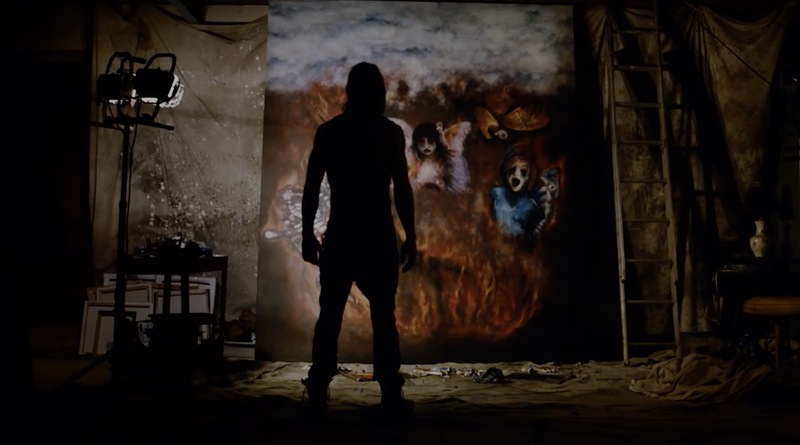 MORE MOVIES LIKE The Devil’s Candy: Well, Deathgasm (2015) and The Gate (1987) have other approaches to metal in horror. For more in the way of style of substance, I’d go with The House of the Devil (2009). 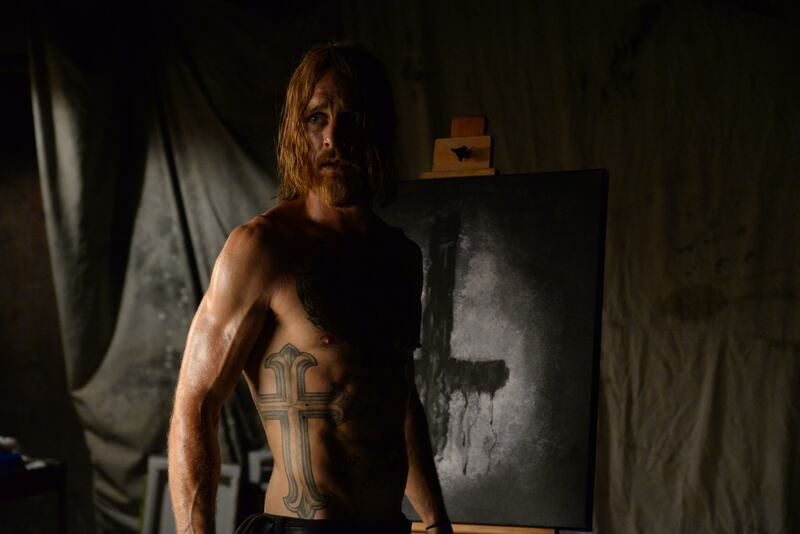 Stringy-haired and donning a smattering of tattoos, Jesse (Ethan Embry; Late Phases, The Guest, Cheap Thrills) is a struggling artist moving with his wife (Shiri Appleby; The Thirteenth Floor, Swinfan) and daughter (Kiara Glasco; Bitten, Maps to the Stars) into their dream home in rural Texas. Jesse is a pragmatic metalhead and, otherwise, a pretty normal guy who playfully connects with his teenage daughter by headbanging to power cords as his wife smiles and understandingly rolls her eyes. Their family dynamic is actually very sweet. But, alas, their house has a dark history. Much as with the Amityville Horror (1979, 2005), a curse of others’ past enshrouds the house and seeps into our patriarch as growling whispers of Satanic influence pepper the silence. We have an array of creepy supporting characters including a deeply disturbed man (Pruitt Taylor Vince; Constantine, Identity, Creature) and a sinister art dealer (Tony Amendola; Annabelle, Castlevania) among others. It also has its moments of brutality, but it doesn’t dwell on gore to be effective or disturbing. That’s not what “gets” you. Bad things happen to good people. Very bad things; things that could really happen. When you see it transpire you’ll feel helpless. You care about this family and they don’t run amok making stupid decisions. 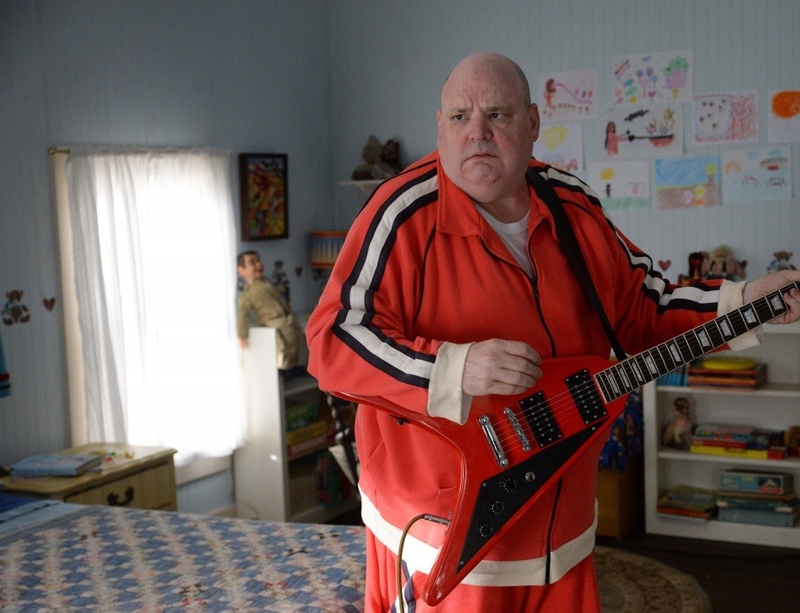 Director and writer Sean Byrne (The Loved Ones) delivers a fair perspective to a metalhead character. Ethan Embry gives an outstanding performance as a kind husband and sympathetic father who simply happens to attune to heavy metal music. Splendid acting and credible characters show us their relationships with no flat exposition to be found. In fact, the admixture of metal and caring family values seems totally…normal. And when those relationships degenerate or become threatened, that is the urgency cultivated within us. This film thrives on its characters and atmosphere, but the story itself feels weak and undeveloped. We find rich potential in Jesse’s infernal connection to his artwork, but everything around his family like the house’s history, this curse, the Devil’s influence, the parallel to the music…none of it seems to find its footing or anything resembling explanation. 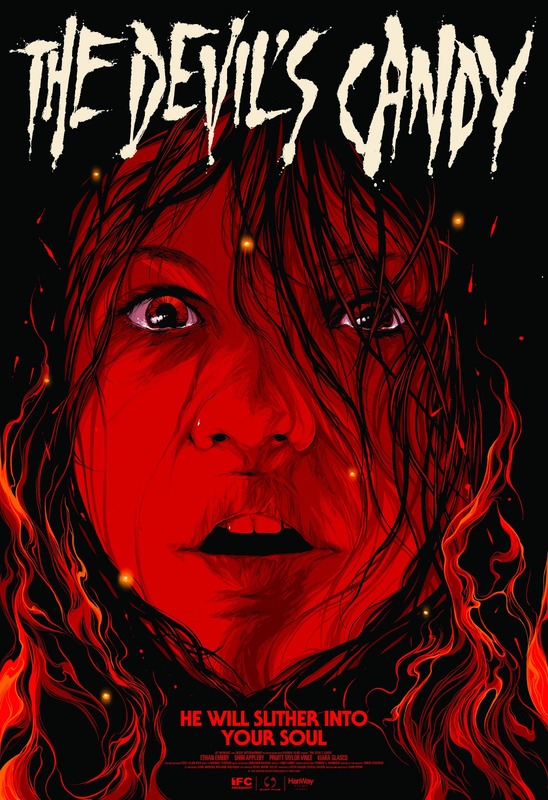 As with Ti West’s The House of the Devil (2009), this is a film to be enjoyed for its style, not substance, and likewise will finish with much less impact than the first hour.